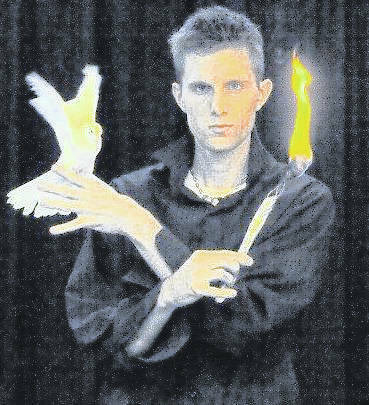 GALLIPOLIS — Returning magician, Carl Michael, a man born in Gallia County, will be bringing his talents for illusion to the Ariel Opera House for a Saturday show at 7 p.m. and a Sunday show at 3 p.m.
Michael said his style of magic is a blend of new school “edgy magic” and old school “classics.” He tends to cover a variety of tricks in his approach to the illusionist craft. Michael lived in Portsmouth as a young child before his family moved to Bidwell. He ultimately graduated from high school in Meigs County. Michael said of all the shows he has done, however, his favorite is the show where he gets to return home. Student tickets are anticipated to be around $10 and adult tickets are between $20 and $25, depending on seating. For more information, visit arieltheatre.org.